I have some kac covers I may put on. After a few mags she gets pretty warm. And believe it or not people look at you funny for wearing a glove while shooting. Stop caring what random people at the range think. If I cared then I wouldn’t be at the range. Then I guess I don't understand why you brought it up. For the same reason you’re making something out of it, because I can. 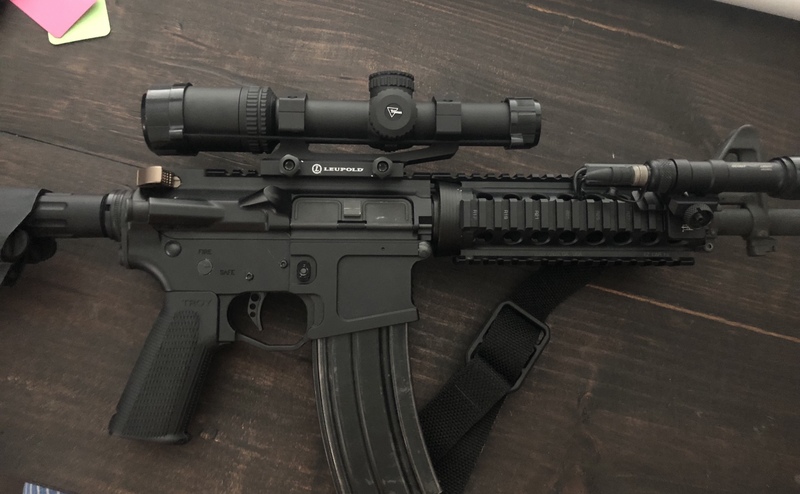 Scored a killer deal on an optic that I couldn’t pass up on Election Day. Probably going to pick up a qd mount once I get some back up irons mounted. Last edited by ajyaros; 11-07-18 at 16:32. 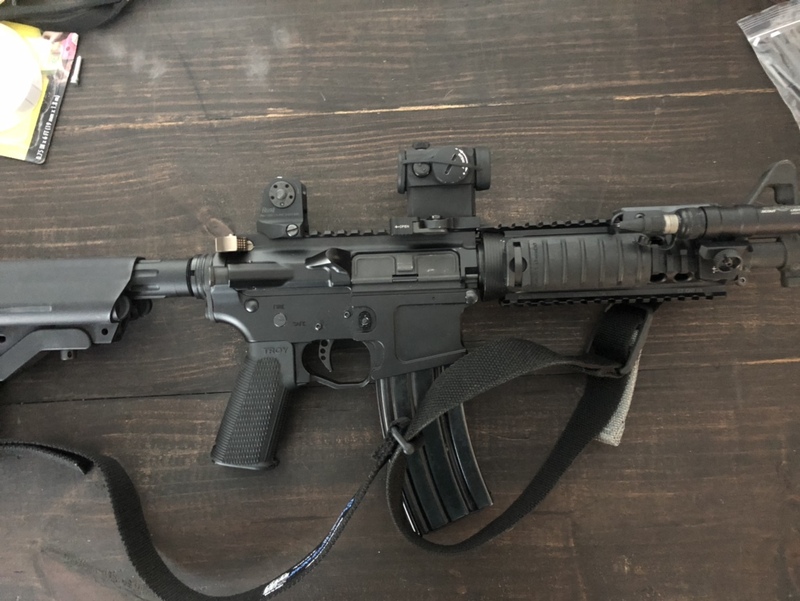 To those of you with more knowledge on the subject, is the optic too far forward? Got rid of the telescope today for the t1 and some loot. Semi auto magnified just isn’t my jam. I’ll stick to a bolt gun for distance. This is much more comfortable and easy on the eyes. No, the Aimpoint location is fine. My T-2 is in the same position, all the way forward on the upper receiver.